Take a hard look at your portfolio. A real hard look. Now tell me what exactly would you say is your investing "style"? It seems that today there are a lot of people that have no clue how to answer this question. That's not good. If you don't know what your investing style is then you could have potential problems in the future. Why? Because if you don't know your style then you may fall into a trap of mediocrity. What is this so-called "trap of mediocrity"? This is simply when an investor or trader becomes average, or even slightly above average, at a lot of different strategies but never becomes skilled enough at one of them to make consistent significant profits. For example when I began trading I was swing trading based on candles, stochastics, RSI's, volume, along with about one hundred other things. It was only when I took a step back and really looked at what I could consistently read and confidently take positions, that I began to make money. It went from a shotgun approach to a sniper approach in only a few months. 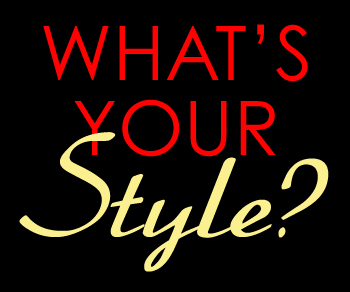 This is why you must know your style. When you look at different gurus you will notice that they have specific styles as well. Take Bill Ackman for example. He is an activist investor that will purchase a certain percent of a company then basically pressure (with public help) the management to make changes that he believes will end up translating to increased profits. This is not the method of every guru. Some gurus prefer to take a more passive approach like Warren Buffett. This is not to say that Buffett doesn't purchase controlling shares or even whole companies but he made his fortune off of finding strong undervalued companies and holding pretty much forever. This has worked very well for him but may not fit the mindset of Ackman. This is what we will begin to dig through over the next couple of weeks as we look at many different styles of investing to see which is a potential fit for you. Will you be a value investor? A dividend investor perhaps? Like to deal more with companies that are projecting for growth? Are you going to be more passive or actively re-arrange your portfolio to try to make the most you can each year? These are all questions that I hope to help you answer over the next few weeks.